I have joined up with some of the most creative bloggers I know. We bounce ideas off of each other. We are sounding boards. We do not judge. We laugh together about the silliest things. We send virtual hugs all day long if one of us is having a hard day. This is the place I go to first. But most importantly, we discuss food! 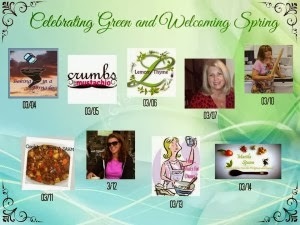 This month we are sharing, “Welcome Spring and everything Green”. 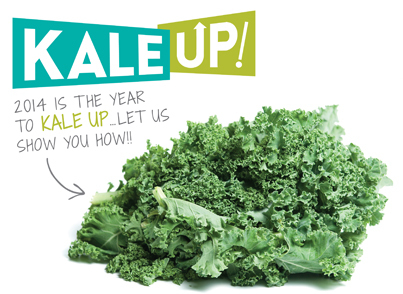 If you have been following my blog, I have been working with Nature’s Greens and have joined the Kale Up program!! 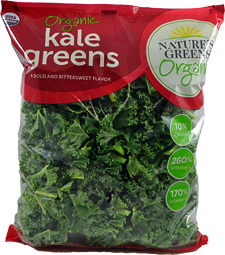 Hooray for Kale~ it makes you happy when you eat it! How many foods can you say does that?? My recipe includes Garlic Bagels, Kale Cream Cheese and Lox from Ducktrap River of Maine. It’s called Lox me up and throw away the Key!! I love my lox and bagels on fresh hot bagels with onions and capers. 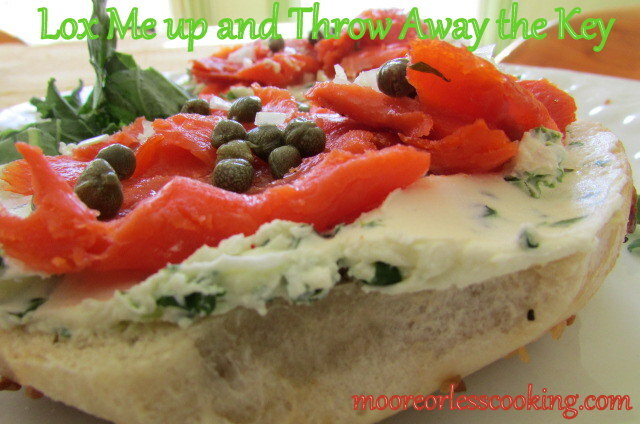 Recipe: Lox Me Up and Throw Away the Key! Place the kale, scallions and cream cheese in a large bowl, combine. Spread cream cheese over bagel. Top each bagel with 1 ounce of smoked salmon, onion, capers, lemon juice. Serve immediately. I never thought of Kale in cream cheese, perfect way to get my boys to taste it. I’m a bagels and lox lover! Pinning this recipe. Nettie this looks delicious.Great name too! This is a great way to add veggies in the morning. I love anything lox. I’ve pinned. I could too Libby~ thank you, it’s from The 50 Shades of Kale! G’day! Yum! I have not had one of these in a long time! Your photo is a good reminder what I have been craving! Thank you! I’m slow to jump on the kale bandwagon, but I just used it for my colcannon and can’t imagine using anything else. I love the idea of kale cream cheese. I will definitely be giving it a try very soon.